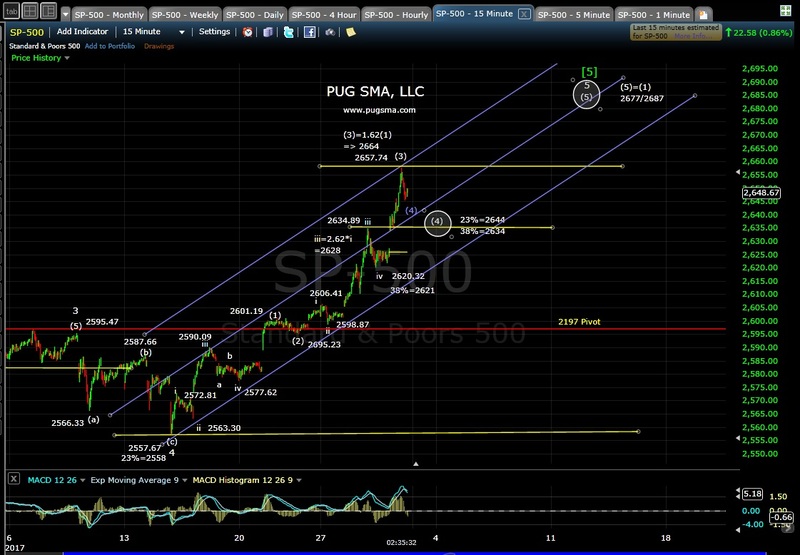 3:00 pm EST: The SP-500 price has hit the minute (3)=1.62(1) target near 2664. The SP-500 likely needs to some price and time consolidation in a minute (4) of minor 5 wave before the final minute (5) wave push higher into the end of the year. 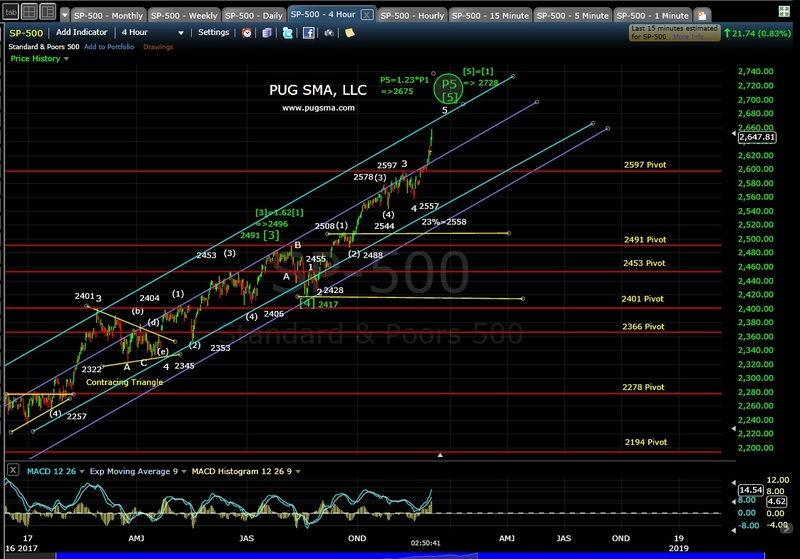 The major -P5-C1 target area remains 2675 to 2728 range. This entry was posted on November 30, 2017 at 2:40 pm	and is filed under Premium, SP-500. 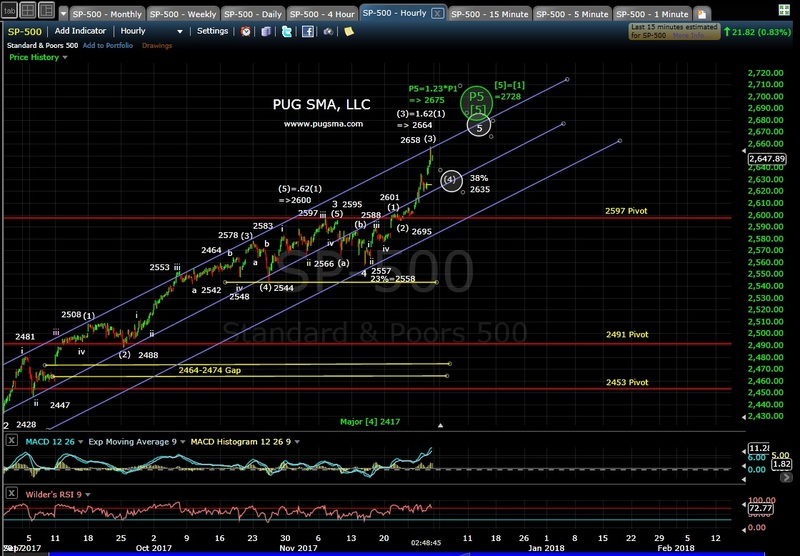 Tagged: Elliott Wave Technical Analysis, SP-500 Technical Analysis. You can follow any responses to this entry through the RSS 2.0 feed. Responses are currently closed, but you can trackback from your own site.